Inexplicably, a large boat carrying approximately 50 passengers and crew burst into flames on Sunday, January 14, 2018. 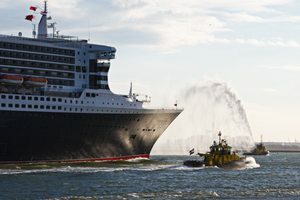 The large boat ferried passengers to a waiting cruise ship that feature casino-style gambling. The cruise ship was anchored off of “Florida’s Gulf Coast” near Tampa Bay when, unfortunately, a massive fire broke out on the ferry boat not long after departing from the dock. The sudden fire sent people over the rail and into the water below. More people would have died if the fire had not erupted so close to shore and people had the change to swim to safety. The boat fire is one event in a growing list of life-threatening incidents that have occurred on commercial ships within a span of a few years. The cruise ship injury and wrongful death lawyers from Parker Waichman LLP represent clients who sustained injuries, or the families of those who died, in cruise ship incidents. Parker Waichman’s cruise ship attorneys are experienced, savvy, and talented lawyers who understand the devastation an injury or loss at sea can cause a family. Parker Waichman’s cruise line injury lawyers will put you in the best legal posture possible to maximize your financial recovery for your losses. What Started the Boat Fire? The experienced and decisive boat crew saved many lives that day. The boat departed from the dock around 5 p.m. that afternoon and traveled a short distance when the engine misfired. As a result of the failing engine, the crew turned the boat around to return to the dock. The fire consumed the boat not long after the captain executed the turn. The deck rail over which the passengers and crew abandoned ship stood approximately 12 feet above the water. Fortunately, the water was not deep. Eyewitness accounts tell an equally dramatic story. Neighbors heard shouts that turned to screams as the fire erupted. A person who resides near the dock from which the ferry departed said that he saw the boat approximately 100 yards offshore entirely engulfed in flames. A newspaper reporter took a photo of the burning ship. The photograph shows the bare skeleton of the boat’s hull. The fire shot thick, dark smoke into the sky as people on-board made the life-saving decision to jump into the chilly waters of Tampa Bay. The day was unusually cold and blustery. Neighbors ran to help the freezing people as they approached the shore. They offered blankets, warm clothes, and hot drinks as well as the comfort of their homes as emergency crews arrived to care for them. The rescuers stated that they observed folks come ashore disoriented, cold, and naturally very wet. One person collapsed onshore and vomited as she emerged from the shallow water. Emergency personnel transported about 15 people to a local hospital for treatment. Many people expressed concerns about hypothermia. All people who received treatment went home later that evening, with the notable exception of one unlucky person. Around 10:00 p.m. that same evening, a woman who abandoned ship died at a local hospital. The woman, who was about 50 years old, did not report any injuries after making it to shore without assistance. Emergency response personnel checked her out on shore, and she went home. Sadly, the woman became unresponsive after arriving at her home. Emergency medical services rushed her to the hospital, but she succumbed to her distress. Authorities did not know the precise cause of the woman’s death in the immediate aftermath of her passing. They do hope that an autopsy will help determine the reason why the woman died after seemingly surviving the traumatic incident unscathed. Investigators are acting to determine the cause of the fire. Tropical Breeze Casino Cruises, the operators of the casino ship and shuttle, did not comment on the cause of the accident. The Casino ship must travel through waters further offshore because Florida law prohibits gambling on board a vessel which is too close to the coast. Neither the Coast Guard nor Tropical Breeze Casino Cruises stated precisely how far offshore the gambling boat anchored to receive the passengers from the ill-fated ferry boat. The death of the female passenger is a tragedy for her family and friends. The death toll could have easily been higher if the ferry caught fire farther away from the dock. To that extent, all aboard the ferry were lucky to have survived to get back to land. Cruise ships, along with any business entity that transports people or goods for compensation, are common carriers. Examples of common carriers are planes, trains, boats, tour buses, for-hire automobiles, and any other additional mode of transportation that brings people from one place to another for money. A common carrier has a significant meaning in the law. Common carriers owe their passengers the highest duty of care established by law to ensure safe passage. A common carrier owes their passengers the utmost care to diligently inspect and warn about potential dangers. Liability can come down to whether the reasonably prudent common carrier knew or should have known about the hazardous condition and failed to warn. Regulations could serve as the basis to establish the duty of care the carrier owes to its passengers. Every state and the federal government enacted rules and regulations that dictate safety procedures. Failing to follow the regulations for the industry can lead to liability on behalf of the common carrier for injuries suffered by passengers. Regulatory schemes are not the exclusive factor in determining a duty on behalf of the carrier. Even though common carriers must adhere to the highest standard of care recognized by the law, they are not strictly liable for injuries passengers to receive. Instead, injured passengers must prove that the carrier’s negligence caused the passenger’s injury. Stated another way, the common carrier is not responsible for damages merely because someone got hurt. What Do Plaintiffs Have to Prove to Receive Damages from a Common Carrier? Damages flowing from the breach of duty such as physical injury, death, medical bills, lost wages, loss of quality of life, as well as pain and suffering. Every state has a different length of time to file a legal claim for damages against a common carrier. The federal government might also have a statute of limitations for common carriers subject to comply with federal regulations such as airlines. Missing the deadline established by law will force you to forfeit your claim forever. Therefore, retaining the right lawyer for your Cruise Ship Injury claim will make an immediate impact on your case. The cruise ship injury attorneys with Parker Waichman LLP will understand the various laws at issue in your case and will take every step necessary to protect your rights. Contact Parker Waichman LLP today at 1-800-YOURLAWYER (1-800-968-7529) or use our contact form to speak with one of our cruise line injury attorneys. We are available 24/7 to consult with you about your case. Remember there is no fee up front for filing a claim. Parker Waichman LLP does not collect a fee unless we successfully prosecute your case! Were you or a loved one injured or harmed due to a cruise ship fire?